Lisa Heller is executive vice president, Documentary and Family Programming, for Home Box Office. 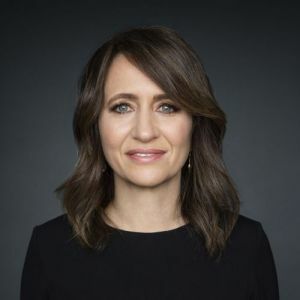 She is responsible for development, production and acquisition of documentary and family programming for the HBO service. Heller has served as an executive on programs that have garnered every major festival and award recognition including numerous Emmy®, Peabody and Academy Awards®. She was named to this position in December, 2017. During her tenure at HBO, she has worked closely with an array of talented producers and directors on a broad slate of acclaimed programming including such titles as: A Girl in the River, Born Into Brothels, Capturing the Friedmans, Everything Is Copy: Jane Fonda in Five Acts, Nora Ephron Scripted & Unscripted, Say Her Name: The Life and Death of Sandra Bland, Spielberg, The Black List, Wishful Drinking, Words that Built America and the series The Jinx: The Life and Deaths of Robert Durst. She also serves as the programming executive on a range of family programs including Sesame Street, Classical Baby, Saving My Tomorrow and the upcoming series Esme & Roy. Heller was promoted to vice president in 2001 and became a senior vice president in 2012. Prior to joining HBO in 2000, she was executive producer of the PBS series P.O.V., where she was responsible for all programming and broadcast-related initiatives designed to amplify audience engagement and innovative filmmaking. She has held various positions within public broadcasting including program development at Thirteen/WNET in New York and public affairs production at Wisconsin Public Television. Heller has also worked in production and distribution on a number of independent non-fiction films and has participated in a wide range of industry related panels, juries and committees for organizations including the Sundance Institute, the National Endowment for the Humanities and the Academy of Television Arts and Sciences. Heller currently serves as a board member of Creative Capital, an organization that pioneered a venture philanthropy model to support artists working in all disciplines. She holds Bachelor of Arts Degrees in Philosophy and Communications from the University of Wisconsin and a Master’s Degree in American Studies from Columbia University.